This Caribou Creek sweater comes in black and gray. Colder fall temperatures are here. Keep your larger breed dogs warm on those late afternoon walks when Jack Frost’s chilly breath blows its howling winds by dressing them in a stylish and comfortable sweater from the Posh Puppy Boutique. Our Caribou Creek Sweaters ($30) come in sizes from ranging from double extra small for puppies and little breed, to double extra large for bigger hounds like Golden Labs. This particular sweater in black and gray has a caribou and snowflake pattern on a classic turtleneck. The stretchy material includes a ribbed kit neck and sleeves plus leg straps and a high-cut belly. This Cable Knit Sweater comes in 3XL. Even the biggest breed like Great Danes can look stylish and be warm when dressed in our Cable Knit Sweater with Shawl Collar ($50). These 100 percent wool sweaters are hand knit. These eco-friendly sweaters use natural plant dyes and wool mainly from free range sheep. Sizes range from double extra small for dogs up to 5 pounds to tripe extra large for pooches weighing up to 120 pounds. The maple leaf is both the national symbol of Canada and a sure sign cold weather is here. Dress your dog in our 100 percent hand-knit wool Maple Leaf Sweater ($50). It features a tan background with red leaf and accents at the neck and base of tail. Sizes range from double extra small to triple extra large. For something a bit more girlish, consider our Chenille Cable Knit Sweater in pink ($30) and blue ($32). The cozy and cute acrylic pullover sweater has a high cut belly and rear leg straps. It is also machine washable. Sizes range from double extra small to large. Both boy and girl doggies will look preppy and ready for action with our Academy Argyle Sweater in Raspberry ($25). The knit pullover has scalloped edging for a sophisticated and classic look. Sizes range from double extra small to large. Only Big Dogs can wear our Red Acrylic Mohair Cable Knit Sweater ($38). It uses two buttons making it easier to put on your dog. Just button close the neck and roll it down. It’s warm, comfortable, highly visible and best of all, sold at the Posh Puppy only in sizes from extra large to triple extra large. We also sell several sweaters inspired by and made from Alpaca wool, which is sheared from animals that produce multiple fleeces during their lives. Alpaca wool is seven times stronger and has three times the strength of traditional merino wool and does not absorb or retain moisture. We sell Alpaca wool sweaters in several designs and many sizes. One example is our Crazy Lama Alpaca Sleeveless Sweater ($60) in sizes from double extra small to extra large. This sweater features several patterns dominated by a llama. Other similar options are the Red Splendor ($60), the black and white Paco’s Design ($60) and theWarm Whisper ($60). 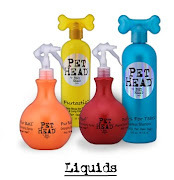 These are just a few of our many pet products designed with big dogs in mind. Call us at 888-837-5230 with any questions. 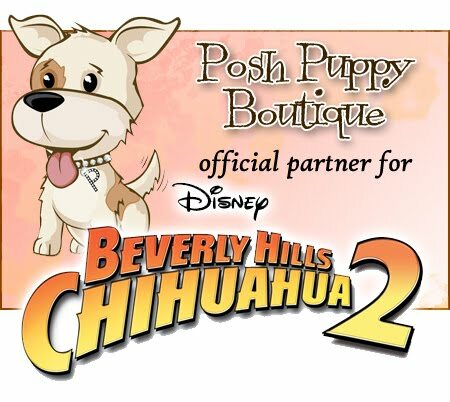 The Posh Puppy Boutique sells these and thousands of other pet products both online and at our Rocklin, Calif. Retail Store.